Are you ready to be part of a genuine mechanised two-wheeled movement right across the nation? 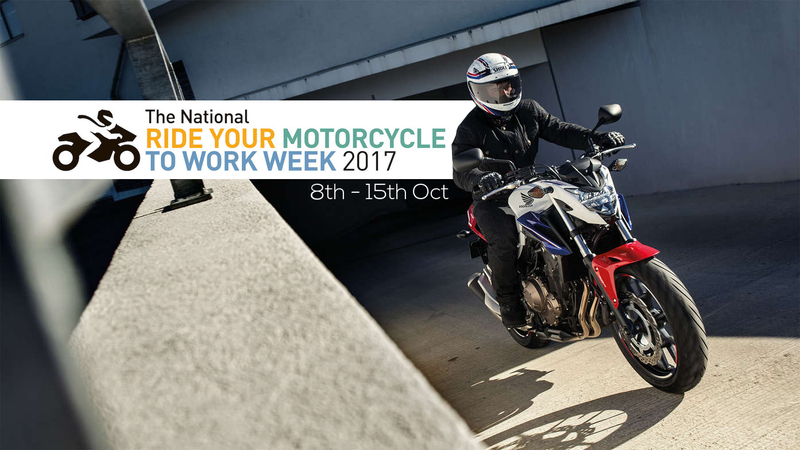 From October 8 to 15, it’s National Ride Your Motorcycle To Work Week. This is an industry initiative aimed at getting you back on your motorcycle, and helping get your ready-to-ride hassles sorted in readiness for a long summer of riding enjoyment. Australia’s motorcycle importers have come together as an industry, with the backing of the Federal Chamber of Automotive Industries (FCAI), to support an initiative which encourages licensed motorcycle owners to ride their registered motorcycle to work in the week of October 8th through to the 15th, and then hopefully continue on that journey into summer. Many riders who love motorcycling will be familiar with the concept of riding your motorcycle, either for pleasure or to commute through the months of favourable weather, then after getting cold and wet as winter approaches, parking it up and taking alternative transport during the inclement weather. But the issue you know and detest is that you are then bound by public transport timetables, or stuck on over-crowded busses trams or trains, or even worse being stuck in endless traffic jams as part of the morning and evening peaks. Over the winter you can tolerate the inconvenience until you can stand it no longer. It’s now time to get back on that bike and enjoy the freedom of leaving when you want to, travelling past those long lines of stationary cars, and parking for free right outside your destination . 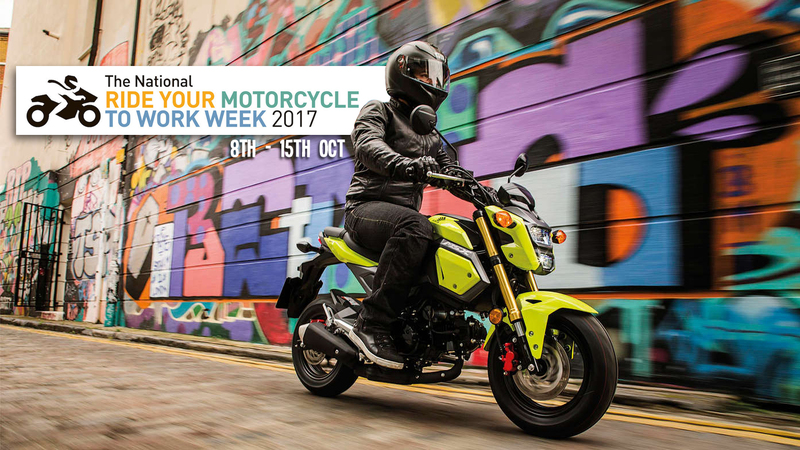 . .
Just two words: solidarity and safety..
By joining our National Ride your Motorcycle to Work Week, you are joining a motorcycle fraternity in which thousands of people are active participants. That’s a lot of people power. The more people who ride, the more we are noticed. And that makes the public road a safer place for all of us. Rider safety is an industry priority. That’s why before you take your bike out of its winter “mothballs”, they are recommending it receives the once-over from your authorised dealer. Because no-one (apart from you) knows your bike better and has all the factory-backed expertise to have your machine in tip-top shape for the long summer of riding ahead. So how do I join in? Check out our event page here: https://www.facebook.com/events/139248166679758/ . Send us a photo of you and your bike. Talk to your us about booking a pre-event service and safety inspection. Who else at your work rides a motorcycle? Who else in your building? How about linking up on the way and riding to work together? Honda EU20i Massive Sale Now On!